Home Staging Consultants is delighted to announce it's strategic partnership with Virgin - through their Virgin Vie at Home business. 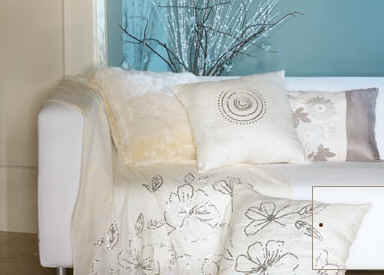 The soft furnishings and products are beautiful and compliment any home beautifully. Makeover your home with the latest Virgin Vie bedding, cushions, tableware, accessories, candles, throws, just the right colours with matching art work and so much more. Clinique offer a range of products available in stores across the UK or for online shopping.